The Hawaiʻi Agricultural Foundation (HAF) is accepting applications on a rolling basis for lands that become available on its 182-acre HAF Ag Park at Kunia (formerly known as Kunia Ag Park). Applications will be accepted throughout the year with review of the applications when lands become available. Applications will be reviewed and scored by the HAF Ag Park Committee with final approval by the board. Successful applicants will be notified accordingly should they be selected. To apply, please download the application linked below and mail to: Hawaiʻi Agricultural Foundation, 3538 Waialae Avenue, Suite 203, Honolulu, HI 96816. For more information or to schedule a tour, contact HAF Ag Park Manager, Kacey Robello at kacey@hawaiiagfoundation.org or (808) 721-7655. How will the applications be used & evaluated? 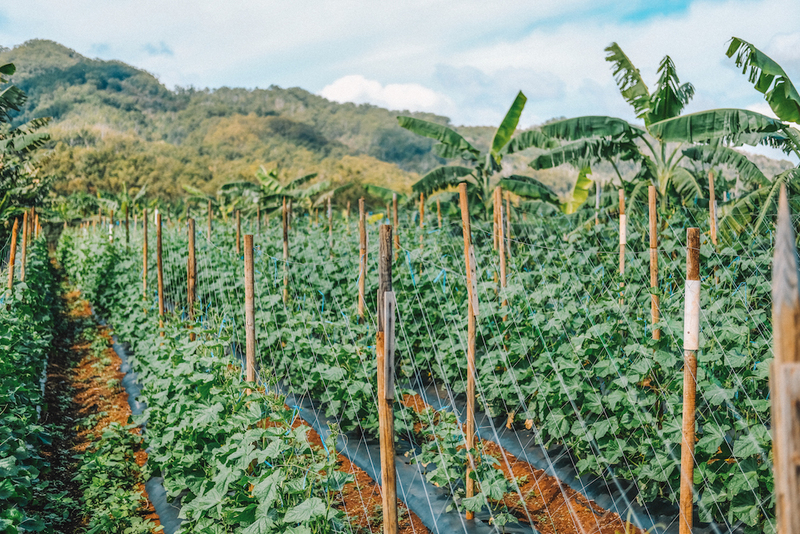 Applications will be reviewed confidentially by the Hawaii Agricultural Foundation Land Committee. A scoring criteria based on answers submitted and the Foundation’s goals will be used in evaluating potential lessees. Applications which include a thorough business plan will be receive additional points. Click here for more info (Exhibit A). What are some of the rules for the park? Click here for more info (Exhibit B). Yes, a limited amount of water is available, but restricted. However, there will be a need for tenants to invest in drip lines. The water is non-potable, and each Lessee should expect to install a small tank for storage. Are parcels available for organic farmers? Yes, organic farmers are encouraged to apply. Fuel will be purchased in bulk. A fueling station is onsite and available to be used by tenants via an electronic card system. A chemical station is onsite for chemical mixing. All fruit, vegetable and nursery, with the exclusion of any corn products can be planted in the HAF Ag Park at Kunia.